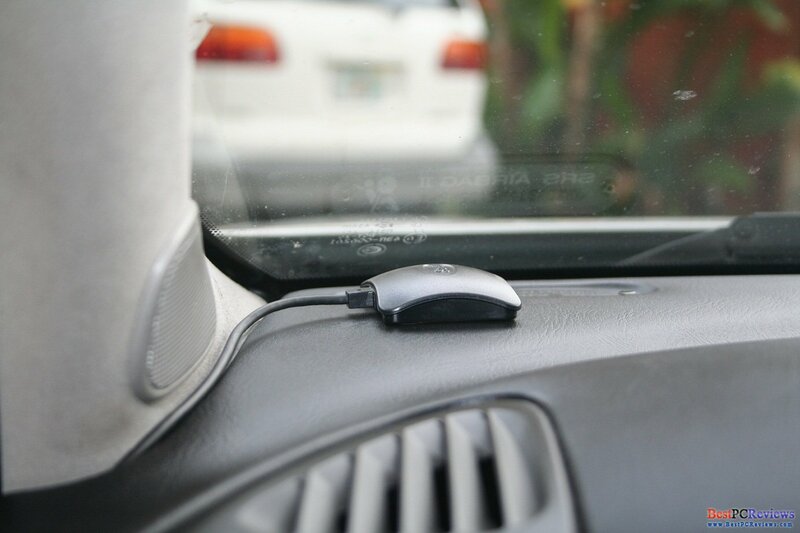 Yes, it is car dash camera. There are not many of these out there. Today we are going to review this product. The product does cost good amount of money, so we will spend good amount of time talking about good and bad characteristics of the item. This review will include good amount of videos made with the product and some pictures of the product. Sit tight and read full review because it is important to know the product before spending money in it. I wasn't thinking a lot about dash cameras until I had two accidents in a week and in both of these instances other drivers were telling me that they did not hit me. 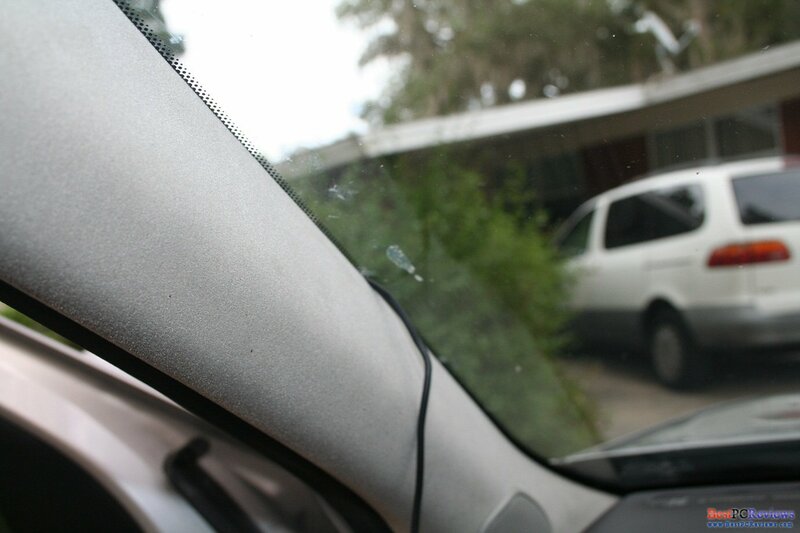 Although the hit was in the rear side of my vehicle, camera should be able to capture the hit since the car shake. 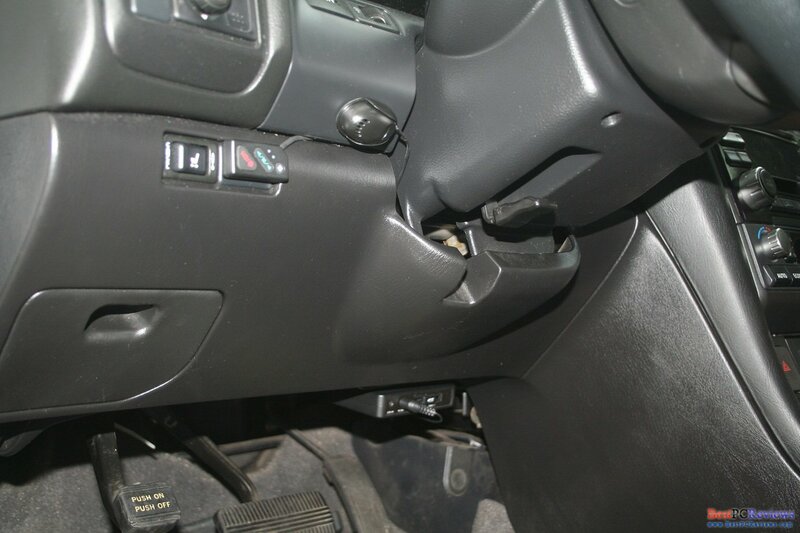 After that incident, I started looking for dash camera for my vehicle; I spend many hours searching for something. 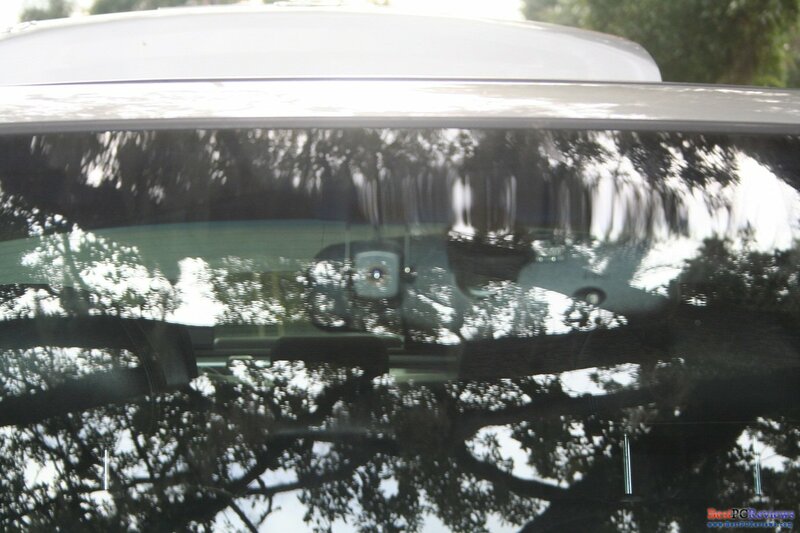 Dash cameras for personal vehicles are very rare. Police dash cameras usually cost about $1500 - $7500. As I mentioned before, I did spend very long time on Internet searching for a good dash cameras. Unfortunately nobody would send me camera for review, so I spend good amount of money to buy the camera and now you can decide for yourself if that is the camera you want on your windshield. 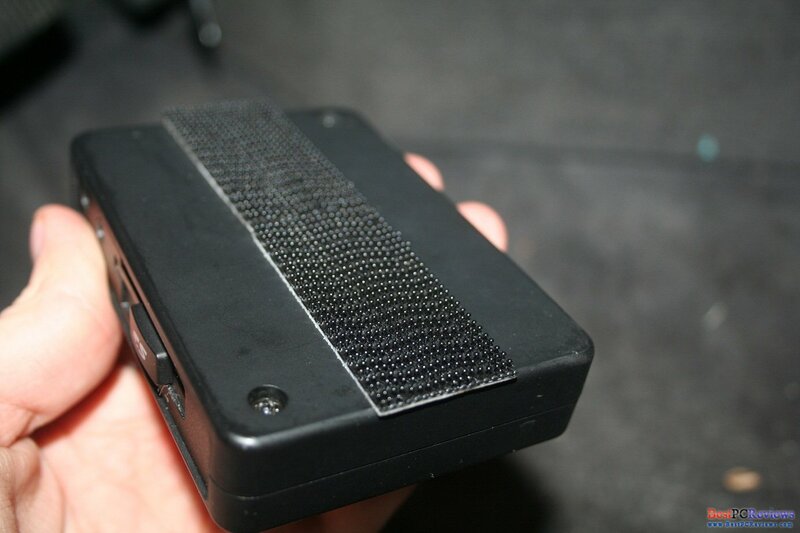 I asked KCI communications about the product and they did confirm that this unit is used on some police interceptors in police departments, but they did not want to provide me with which police departments they working with due to confidentiality reasons; however, SBX-3100 is mostly used in commercial, such as taxi, driving schools, and so on. In my opinion, the unit can work in police force, but the unit is too small for police use and I will explain you why. Police prefer to use DVR system because of the number of videos that can be stored there. SBX-3100 can accept maximum 64GB SDHC card, which can give you about 18 hours of recorded video and audio in highest quality. It’s not bad, but for police, someone would have to take the memory and copy it to computer every single day and SDHC cards are more likely to fail than solid state drives that are used in DVR systems. 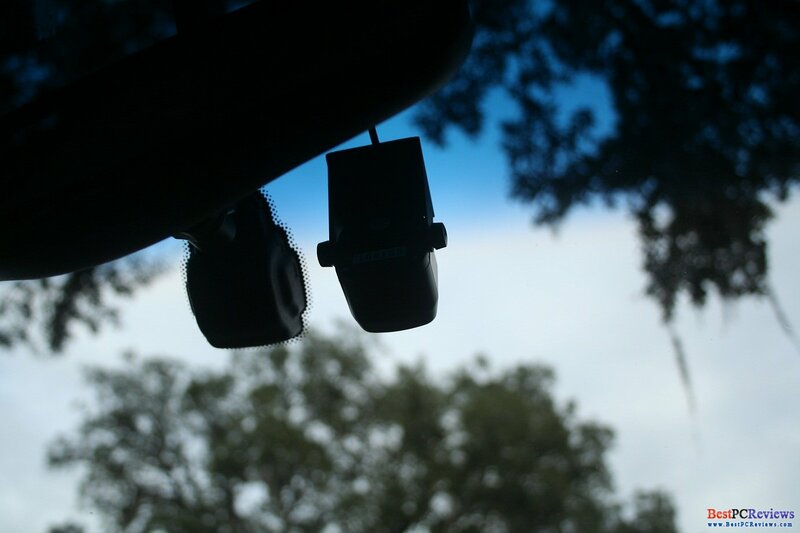 Also, usually DVR or other recording systems are stored in the trunk of a vehicle, but SBX-3100 system has not long enough wire for microphone and remote control. So if there is police department that use SBX-3100 for video surveillance, the department is probably poor. I asked KCI Communications about DVR systems and they told me that the ones they have goes from $4000 to $7000. It is definitely not good choice for personal vehicles. The product cost about $420 with 4 GB flash card. KCI gives you option to upgrade to higher flash card, but price goes so much higher that I recommend you to get better flash card on amazon or ebay. I got mine 64GB card on amazon for about $65. Overall installation was easy. It took me about 20 minutes to install everything. 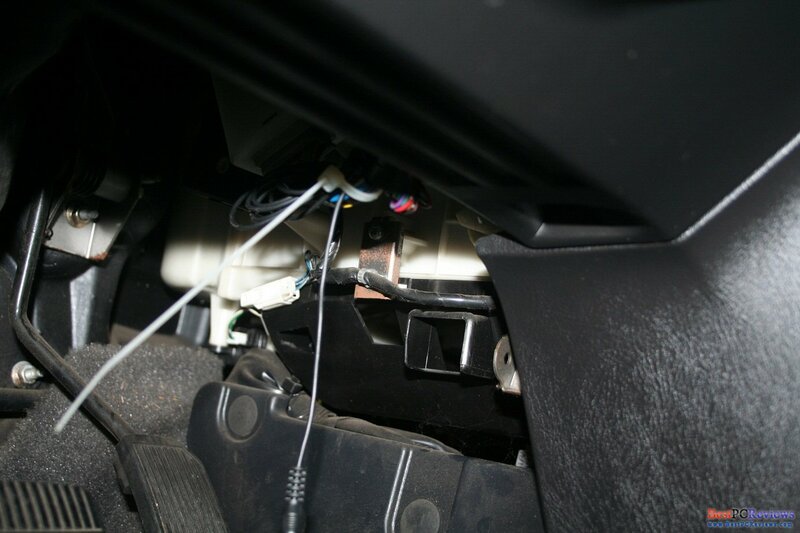 Originally I was planning on putting the main unit in the trunk, but since remote wire and speaker wire is not long, the good place for the main unit would be either under your seat, under steering wheel, or in the glove box. Good advice, don’t leave unit somewhere where it can easily be stolen, for example glove box. 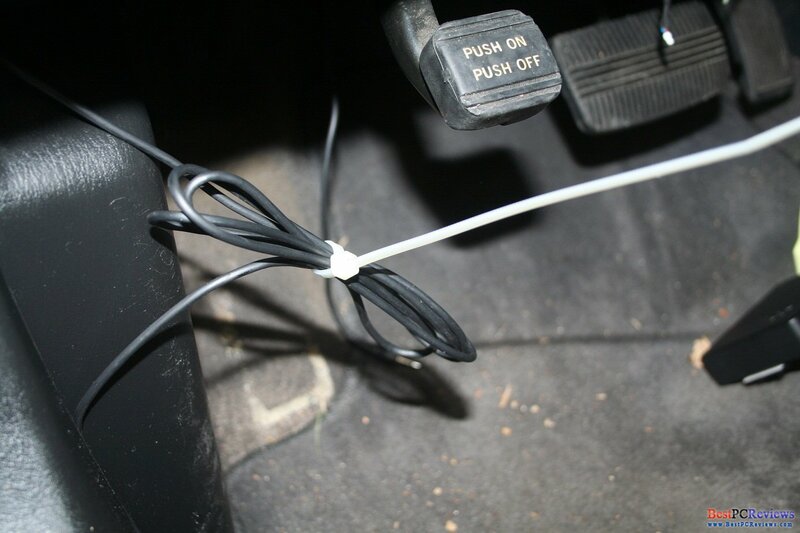 You don’t want the unit to be stolen when you can avoid it easily by hiding it somewhere under steering wheel. Also, the camera may help you catch whoever tries to get into your car, if your unit will get stolen, no video will be collected. KCI also sells metal box for the unit for $50, in my opinion it’s too expensive because the box does not protect the unit from been stolen, but from someone to have access to the flash card. 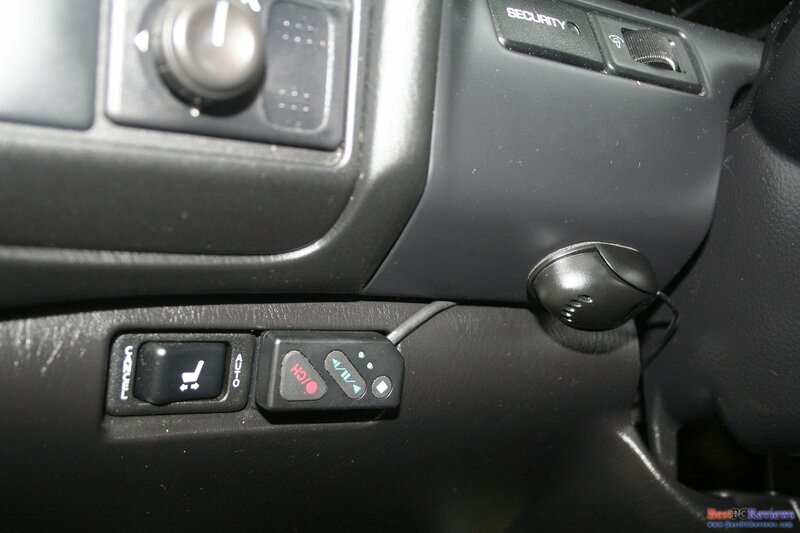 I would personally try to hide the unit somewhere under the steering wheel close to fuse box or somewhere so that the unit will not be easily visible to others; however, keep in mind that you should have easy access to the flash card. I would recommend formatting flash card at least once a month to make sure recorded data would not be corrupted. SBX-3100 comes with microphone. If you are wondering where to install the mic, I think that there are two choices. One is to put it in the center, close to CD player. Another is to the left of steering wheel. The center would be good for interactions between you and the passengers. The spot on the left is good for interaction with police officers or similar situations. I would recommend to put in somewhere between, may be on the dash on top of steering wheel. 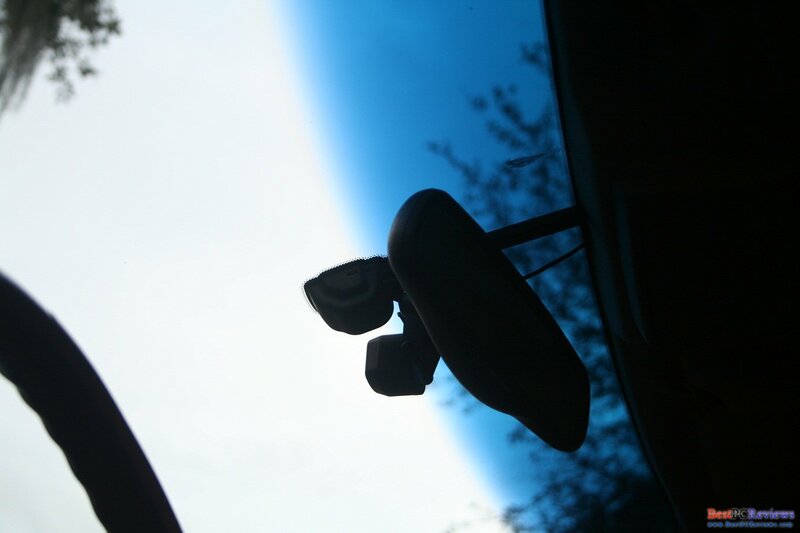 That way you should be able to get audio from passengers and from someone outside driver’s window. Unit also comes with GPS box to show where any situation occurred. 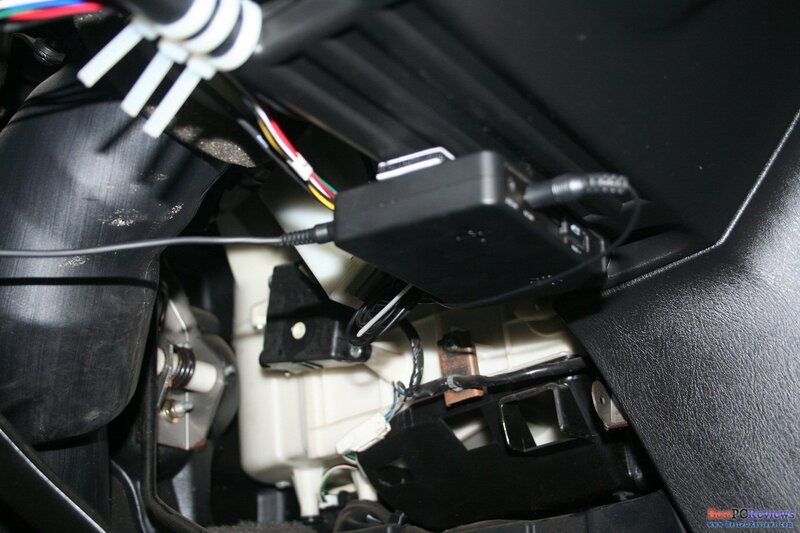 The little GPS box has magnetic base, but since there wire isn’t long enough, it is impossible to stick it on top of speakers grill in the back of the interior. 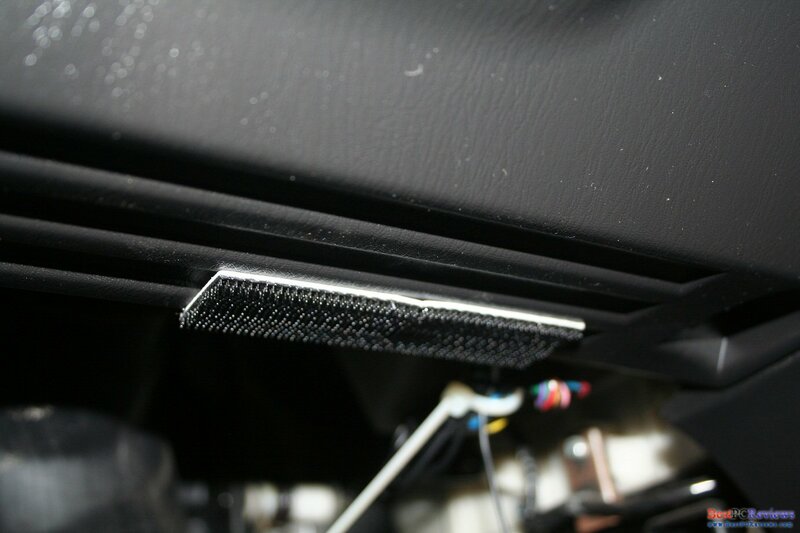 So far I did not find good solution for that, but I will probably stick it on the dashboard above steering wheel close to A/C vent using some type of sticker. The next part that comes with the unit is the remote. 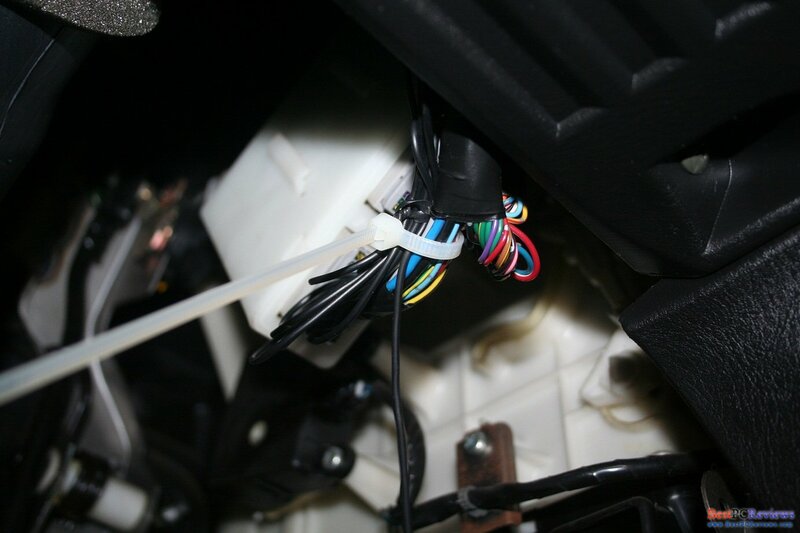 Just like all other parts, the wire for the part is not very long, but good enough if the unit is under steering wheel. 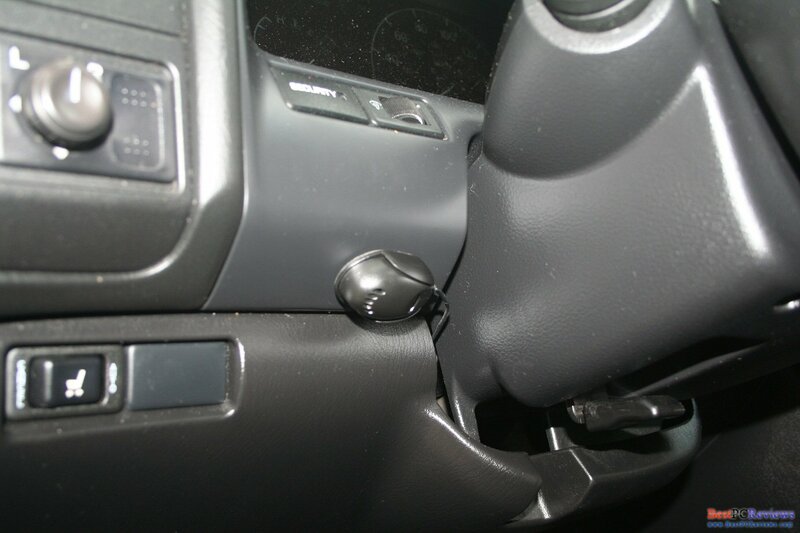 I put the remote next to the microphone under steering wheel so that it’s not going to bother me with the LED lights. Speaking of the lights, in my opinion they are little too bright. Also, whenever flash card gets full, two of the lights go on. At night it gets attention, so it would be nice to get the lights a little dimmer and/or make easy way to format the flash card without removing it and connecting to the computer. Camera itself is a good size, but the camera lens itself is too small. It would be nice if KCI would make camera with the same dimensions but bigger lens size. I covered all parts that come with the unit, but I would like to also notice that the connectors that go to the main unit are not very tights. Sometimes I have to reconnect the wires for the remote to get the lights on; sometimes the remote LED lights will be dim or off, meaning that the remote was not fully connected. Now, at the end of the review, you will see numerous events that have been recorder with the dash camera. Right after the video, you will see good and bad points of the dash camera. So far it is the only dash camera I got to review, so if you think you know a better dash camera, please let me know and I’ll try to review it. To create scenarios, some fragments of the video have been made up. How much are you willing to spend on a dash camera? Hey, this specific item is available at the manufacturer's Site . Other dash cams available on ebay.